The future of rail transportation literally may be up in the air. 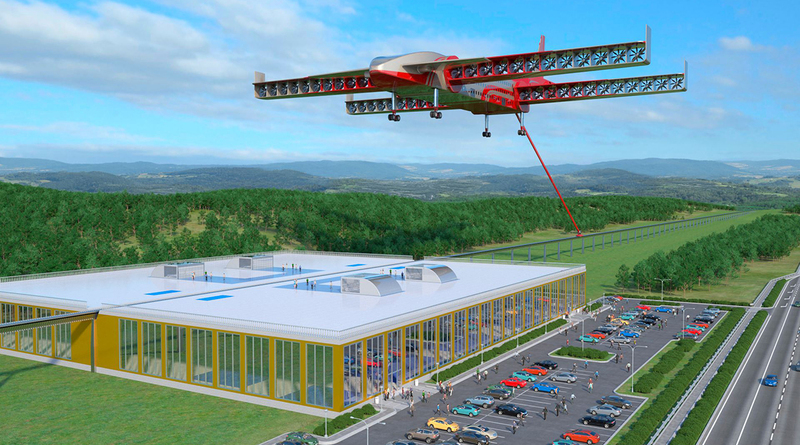 Entrepreneurs and engineers from around the world have proposed radical concepts for hauling freight and passengers, including a multistory flying train that is pulled through the air by an electric-powered boom. Russian inventor Dahir Semenov says his flying train concept could carry up to 2,000 passengers (or cargo) and travel at nearly twice the speed of China’s Fuxing, the world’s fastest bullet train, which tops out at 248 mph. Another hybrid plane-train concept is being developed by AKKA Technologies, a European-based research and development company with operations worldwide. The company’s Link & Fly concept features a tube-shaped passenger train that rolls onto a runway, where it is attached to a pair of wings and then takes off to another airport. Upon landing, the wings are removed and the train continues to ground-based destinations. Meanwhile, in France, investors are funding development of a supersized blimp that can carry up to 60 tons of freight, and take off and land without requiring mooring pylons. The Flying Whale airship would be twice the size of a Boeing 747 jumbo jet with a rigid frame and pockets of helium for lift and small diesel or electric engines for power. The company plans to produce about 150 airships, with the first commercial flight slated for 2022. And in China, researchers are working on super-high-speed trains and a version of Elon Musk’s Hyperloop system that utilizes magnetic levitation to propel pods in tubes at speeds exceeding 600 mph.